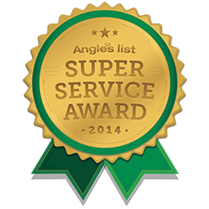 Casements & Awnings - Custom Built Windows, Inc. 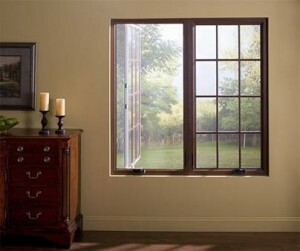 The casements we carry are designed with three continuous seals of weather stripping around the windows perimeter, you won’t feel any air leaking into your home. 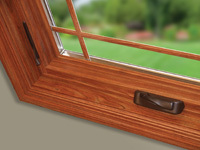 Our stylish hardware allows all casement windows to open to a full 90-degree angle, so you can clean the outside pane of glass from the inside of your home. 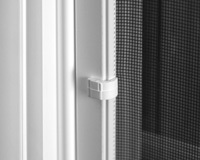 The casements, bays, bows, picture windows and patio doors we carry, exclusively have lift and tilt sun blinds or pleated shades as an option in between a sealed glass unit. Available in many colors. 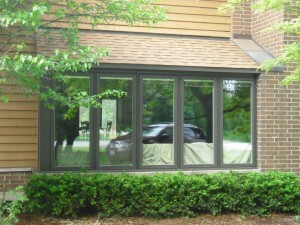 Awning widows are great when you need a window that opens from the top to prevent rain from getting into your home. 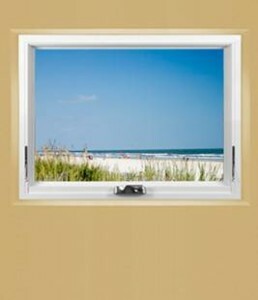 Polyurethane window frame insulation provides added comfort and the ultimate in energy. 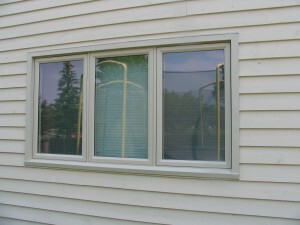 Recessed screen is positioned further outside to maximize the visible viewing area. Low profile and ergonomically designed screen clip allows for easy screen removal. 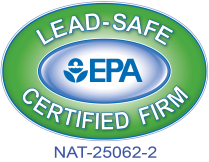 Awning windows provide not only a great look but versatility with stylish and functional hardware for safe and trouble-free cleaning. 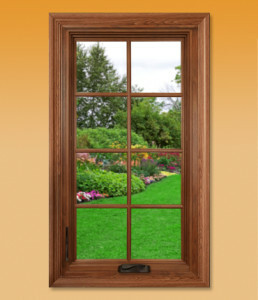 Stop uncomfortable drafts from entering your home with our Awning windows which have one of the industry’s lowest air infiltration rates, because they feature three continuous seals of weather stripping. 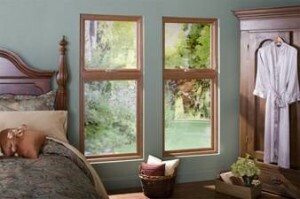 These beautiful awning windows, which feature a dual locking system, are mulled above picture windows.